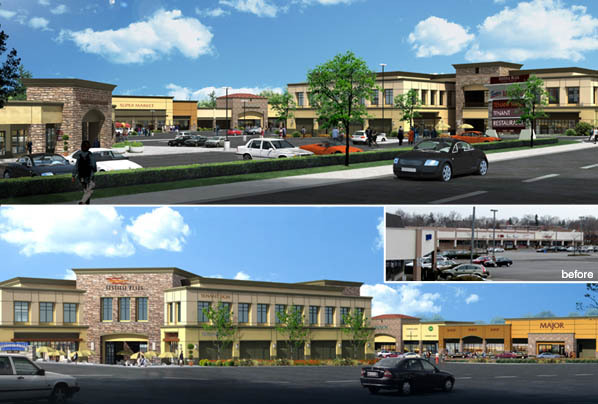 Client: MCC Realty Investment Company, Inc.
Festival Plaza is a 14 acre project comprised of approximately 40 retail/ office/ restaurant tenants including a major market. The existing in-line shops and major tenants along the north and east sides of the project are to be renovated and given a new facade. Two new, multi-level mixed-use office/retail buildings are to be constructed along the southern street frontage. The finished project will contain over 90,000 square feet of leaseable area.